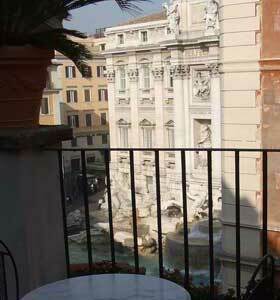 > Where should I stay in Rome? 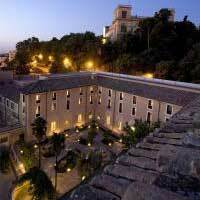 Rome has a huge number of hotels, from cheap budget hotels to some of the most luxurious hotels in Europe. As one of the world's most popular destinations, it is definitely somewhere you should research your hotel and book well in advance for the best options, considering your requirements carefully. Rome has a vast range of hotels with three and four stars; accommodation which is comfortable without being painfully expensive. 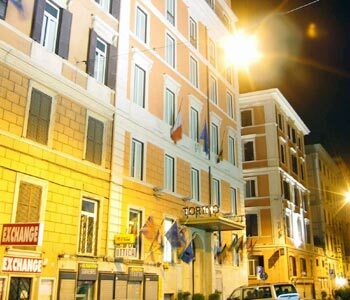 Travellers should bear in mind that they will pay more in Rome than they would elsewhere, and Roman hotels do not always match standards expected by international visitors. The historic nature of the city means that space is cramped, streets are narrow and noisy, parking extremely limited and expensive - do not take a car into the centre of Rome unless you absolutely have to. Price range: in our mid-range selection we have listed hotels where overnight prices for a double room range from €100 - €300, depending on the time of year. These are hotels for travellers who neither want to suffer the discomforts of budget accommodation, nor to splash out on luxury. Most are good, traditional places to stay - if you are looking for something a bit different, try our selection of recommended hip hotels. 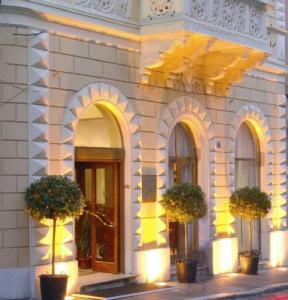 We have included some particularly cheap three and four-star hotels on our budget hotels page. 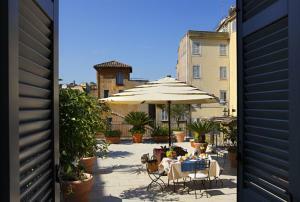 The Raffaello is an excellent three-star hotel in a hidden historic corner of central Rome. Efficiently and considerately-run, it offers comfortable, quiet surroundings and unusually good breakfasts. The location is conveniently close to the Colosseum and the Teatro dell'Opera, and a ten-minute walk from Stazione Termini. We liked it - read our review. 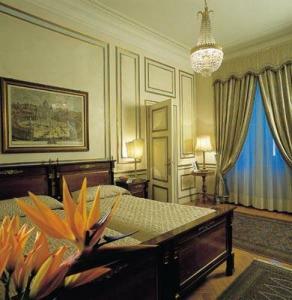 A lovely four-star hotel in the historic centre of Rome; ideal for romantics who can wander home at night. Highly-recommended - read our review. With really nice modern rooms right by the Trevi Fountain, the Relais has limited 'hotel' facilities - but is a very handy and comfortable place to stay, with the unusual bonus of tea/coffee making in bedrooms - read my review. Hotel Re di Roma is a modern three-star hotel in a residential and commercial area just outside the heart of Rome, close to a Metro station. It has comfortable and smart modern rooms and helpful staff. Although room-prices vary, the hotel generally offers good value for money. Personally, I love the slightly hidden yet central location of this hotel. It is around the back of the Roman Forum and great for archaeological sightseeing. The building has a garden, modern decor (including flat-screen TVs) and comfortable rooms. There are some good room-rates available through the links below, including occasional special offers. Simple and decent three-star hotel in a good central location, on Via Nazionale (a large shopping street between Stazione Termini and the historic part of town). 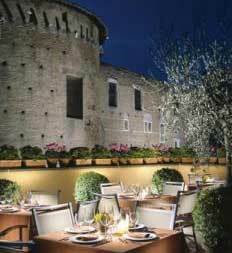 Rather like an old-fashioned pensione, it is an affordable if not exciting place to stay. Close to the Basilica of Santa Maria Maggiore, a few streets from Stazione Termini, the Mecenate Palace has good reviews from guests. The hotel offers suites as well as standard rooms. 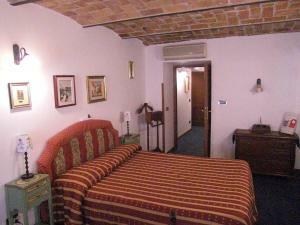 Prices are reasonable, and the location is useful both for transport and for historic Rome. A nice location for exploring the historic centre and the Trastevere district, Hotel Ponte Sisto is a very nice four-star with a courtyard garden and good breakfasts. With 103 rooms, it's quite a large hotel by Roman standards. 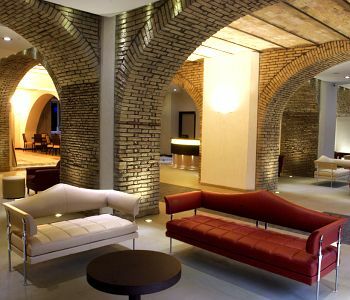 A really attractive and highly-rated hotel in the Trastevere area, Donna Camilla Savelli is a former convent, designed by Borromini, which combines modern comfort with historic atmosphere. The location at the foot of the Gianicolo (Janiculum) hill is a quiet one, yet within walking distance of the bustling centre. Hotel Artorius is only a two-star hotel but its service and facilities (and prices) rank it much higher. 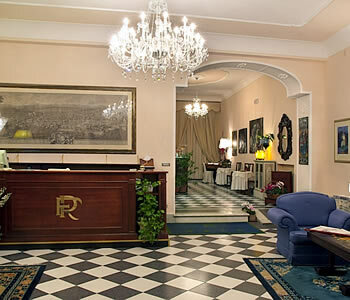 One of the best hotels in Rome, according to the ratings of past visitors, the building is in the same convenient, historic district of Rome as the Hotel Raffaello (above). It only has ten rooms, so you should book ahead. Hotel Torino isn't overflowing with character, but it is an efficient and comfortable establishment. Rooms are well-equipped, although they vary in size. The breakfast room and terrace on the top floor are pleasant, but the hotel's prime attraction is its location. Between Stazione Termini and the Teatro dell'Opera, it is ideally located for public transport. We stayed there anonymously - read our review. 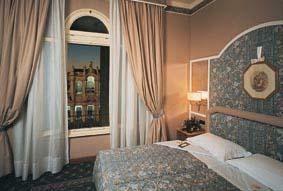 Hotel Quirinale is a large and busy hotel on Via Nazionale; a good spot for transport and shopping. 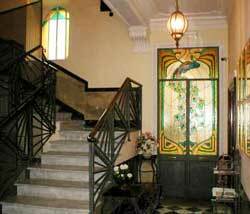 It has a traditional 'grand' hotel atmosphere with a large lobby and bar with pianist. The hotel accommodates tour groups and service is less personal than some travellers will wish. We stayed there anonymously - read our review. I've also included it on my luxury hotels page, since the Hotel Capo d'Africa is a four-star which is a verging on luxury standard. Ofering breath of fresh air in Rome, this would - unlike many Rome four-stars -be considered a comfortable and elegant hotel in any country. 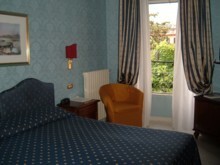 Newly and thoughtfully refurbished, the hotel is peaceful and pleasant. 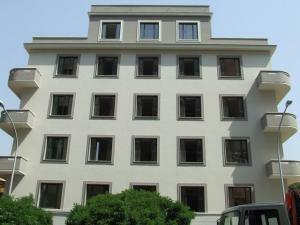 It's located in an attractive spot up a small street from the Colosseum (a short walk from Colosseo metro station). I enjoyed a brief stay at the hotel: read my review.